The English Budgerigar - Calmer and Quieter than its American Cousin? Home | Bird Species Profiles | The English Budgerigar – Calmer and Quieter than its American Cousin? The English Budgerigar – Calmer and Quieter than its American Cousin? Recently, a bird owner confided to me that, although pets were prohibited in her tiny Manhattan apartment, she was able to keep an English budgerigar because it was very quiet and also a good deal less active than the American budgies which she had kept. Thinking back, I realized that English budgerigars, which are actually the same species – Melopsittacus undulatus – as the “parakeet” typically sold in American pet stores, have also impressed me as being somewhat reserved in nature. Perhaps they are ideal for those of you who need to keep birds surreptitiously? English Budgerigars, or budgies, are sometimes referred to as “show or exhibition budgerigars”. They are stouter than the “American Budgerigar”, which is also known by the common name of “parakeet”. Both are larger than wild budgerigars – twice as large in the case of the English race. English Budgerigars have long been bred as show birds, with strict standards governing their colors, plumage type, and body plan. Their faces and breasts are more thickly feathered than the typical American Budgie…some individuals sport feathers that nearly obscure the eyes and beak. The actual size of the head, in relation to the body, is also greater than in the American race. Over thirty primary, and hundreds of secondary, color mutations are recognized, with individual colors often being brighter and somehow more clearly defined than those of their American counterparts. Behavior varies greatly from bird to bird, but overall English budgies are quite calm in nature, with even parent-raised individuals being relatively easy to tame. Many, but not all, are also on the quiet side, but they retain wonderful mimicry abilities. Like American Budgies, English birds can amass huge vocabularies, a skill that is sometimes not fully appreciated due to their low, subdued voices. 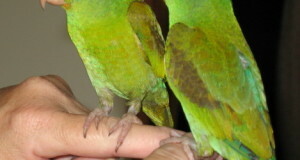 However, aviculturists rank budgerigars alongside African Grays, Amazons, Eclectus Parrots and other gifted mimics. In fact, a budgerigar holds the record for the largest bird vocabulary known – over 1,700 words! In common with all parrots, English Budgies do best in pairs or well-planned groups. All-male groups, or several pairs, often work out well, but females can be quite vicious towards one another. English Budgerigars have the reputation of being somewhat short lived – 7 to 10 years as opposed to the American Budgerigar’s lifespan of 12 to nearly 20 years – but there have been notable exceptions. 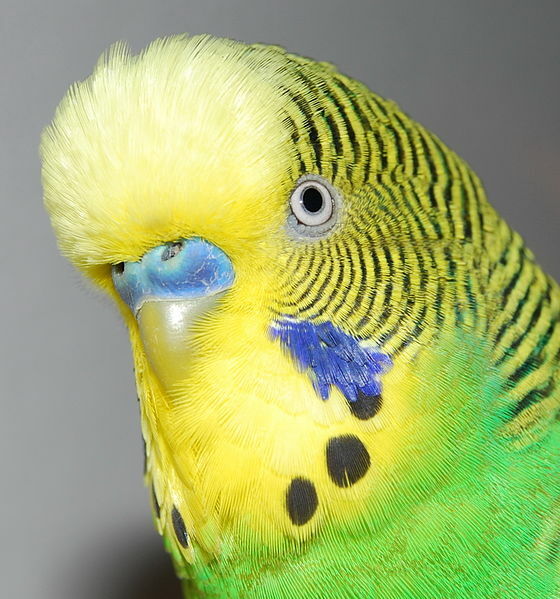 English Budgerigars are not all that common in the USA, and will more usually be available through private breeders as opposed to pet stores. However, the search is well worthwhile – their plumage imparts a very comical look to the face (some find them to resemble minute old men! 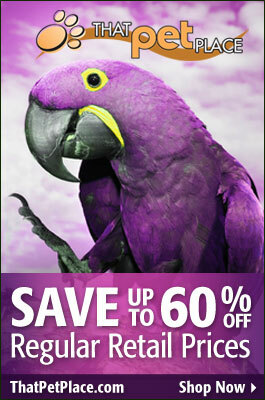 ), and, if noise and space is a concern, they may well be the best parrot option available. Please see my article The Captive Care and Natural History of Budgerigars for further information. The Great Lakes Budgie Society posts English Budgie show standards and results here. 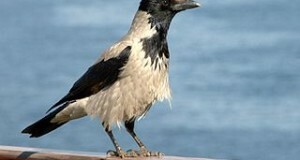 Next: Bird Breeding – Why Do Good Parents Sometimes Attack Their Chicks?